According to the maramataka, or Māori lunar calendar, the winter month of Hereturi-kōkā is so cold that ‘the scorching effect of fire is seen on the knees of man.’ But as the moon continues to wax and wane, the earth warms up and by the summer month of Kohi-tātea, fruit hangs ripe on the trees. The maramataka is the traditional Māori calendar. Each year has 12 months based on the cycles of the moon. 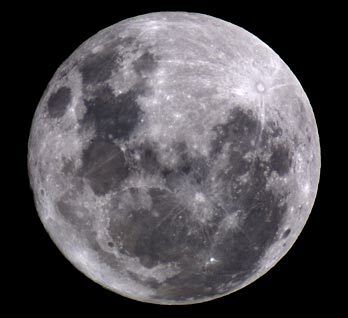 These lunar months begin and end when the moon is full, and last for about 30 days. The stars also play a part in the calendar. Each month is represented by a star or stars. For example, in Pipiri (May–June) the appearance of Matariki (the Pleiades star cluster) signals the Māori New Year. Each night of the lunar month had its own name – Whiro was usually the first night, and Mutuwhenua was the last. Depending on the moon, certain days brought good luck for fishing, eeling, planting or harvesting, and other days brought bad luck. For example, Mutuwhenua was described as ‘an exceedingly bad day’, while Ōuenuku, near the beginning of the month, was a day to ‘get to work! A good night for eeling’. Māori used their calendar as an important guide to planting and fishing. Today, many fishermen still believe they catch more fish on days described as lucky. Weather reports on New Zealand’s Māori Television station include traditional information on the tides and when to plant.